A thread in the Google AdSense Help forums has a question on a new term being used by Google AdSense named the "API Referral Bounty." 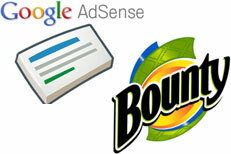 In any case most of you should have a couple pageviews for "API Referral Bounty" -- if any at all -- from June/July/August, from the time were this AdSense product served as a platform for pay-per-action advertisement. This part of our business was moved to the Google Affiliate Network, a Doubleclick product. So if you see these in your AdSense account, they will likely go away soon. That being said, I love his to the point and blunt comment about them doing away with the referral program. Vincent said it was "a relief for us, as it was a rather large burden to support from a technical point of view." Love it.